HomeGene Editing for Heart Disease? Conditions such as heart disease are strongly associated with arterial damage and obstruction with cholesterol plaques and the biochemical factors that may contribute to them. These factors are in turn related to certain genes that may determine the overall susceptibility to heart disease in some patients. Conversely, other people appear to be more resistant to cholesterol plaque formation due to specific genetic mutations. A research team from the University of Pennsylvania set out to investigate the therapeutic potential of a strategy centred on mimicking these mutations to reduce heart disease risk in patients. This new approach, which uses a technique similar to CRISPR gene modification, could form the basis of a more targeted, powerful treatment (or preventative) for heart disease that does not depend on a life-long dependence on drugs such as statins. Cardiovascular conditions such as congestive heart disease are extremely prevalent in many Western and Westernised countries, and may also be on the rise in developing countries. There is a common medical protocol in place to prevent them, or to prevent their recurrence. However, this protocol depends on the widespread prescription of drugs such as statins and lifestyle changes that may alleviate pre-existing risk factors. The former option is associated with a potentially detrimental side-effect profile and possibly high costs over time, and the latter may be related to impaired adherence. Therefore, it may be time for modern medical science to move beyond them into the realm of treatments that may address the roots of cardiovascular problems at their onset or identification. These include gene-editing, which could modify the biochemical basis for heart disease risk or progression. Could gene editing be the answer? One gene in particular, ANGPTL3, has attracted the attention of cardiovascular medical scientists due to its apparent role in the progression of atherosclerosis. Atherosclerosis, which is a health issue in which the inner linings of major arteries acquire lesions in the forms of cholesterol plaques, may be strongly driven by genetic factors. These genes are responsible for processes such as the synthesis of ‘pro-heart disease’ lipoproteins (large molecules composed of amino acids and fats that may determine how well this fat is used as metabolic energy) or the pathologies that lead to cholesterol plaque formation. ANGPTL3, which codes for angiopoietin-like protein 3, has been observed to be associated with the formation of low-density lipoproteins, which have been observed to be more likely to increase heart disease risks. In addition, ANGPTL3 may also be related to the increased concentrations of trigylcerides (partially-digested dietary fats) in the blood, another risk factor of cardiovascular diseases. Some people with a naturally-occurring mutation in ANGPTL3 appear to have a reduced susceptibility to these conditions. 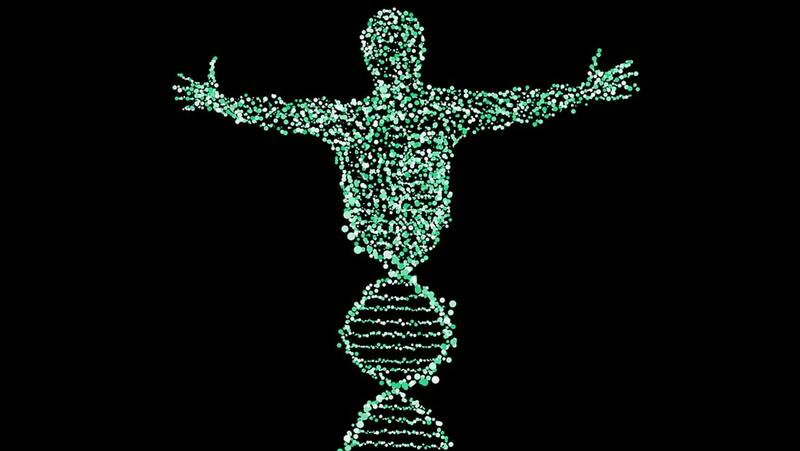 These findings were made in individuals in whom the gene is ‘switched off’ due to a mutation that prevents its normal functions. Therefore, ANGPTL3 is the newest biochemical target of interest for scientists interested in heart disease treatments. The apparently beneficial mutation is found in one of every 250 people of European ethnicity; therefore, somehow making it more widespread in the short term may have a positive effect on the global health burden that is cardiovascular disease. Therefore, a team of researchers from the Perelman School of Medicine’s Cardiovascular Institute in Pennsylvania decided to investigate the potential of gene editing in replicating the effects of ANGPTL3 loss-of-function. This team, led by Associate Professor Kiran Musunuru of the Perelman School, chose to use a variation on the popular Cas9/CRISPR technique to induce the mutation. This method, known as base-editor 3 (BE3), induces specific (C-to-T) mutations within the target gene to prevent it functioning as normal. BE3 also differs from normal CRISPR procedures in that it does not require that the target gene be excised from the entire genome. In the case of this study, the ANGPTL3 gene was silenced through nonsense mutations induced by BE3. ANGPTL3 functions in the livers of mice to enact its effects on LDLs and blood triglycerides. Therefore, Musunuru and his team began by injecting mice with the BE3 treatment for the gene. They found that 35% of all ANGPTL3 copies in liver samples from these mice had been successfully edited seven days after treatment. In addition, the BE3 had not ‘missed’ by silencing other genes by mistake, indicating an appreciable amount of success in its anti-ANGPTL3 effects. In addition, the ‘treated’ mice exhibited a 30% decrease in their average total blood lipid concentrations compared to control animals. The team also validated their new protocol by assessing its effects on a second known risk-factor gene, PCSK9. This gene, which codes for proprotein convertase subtilisin/kexin type 9, is also associated with increased blood lipids and is accordingly the target of an established anti-heart disease drug evinacumab. The researchers found that mice treated with an anti-PCSK9 BE3 treatment exhibited reductions in blood cholesterol levels that was comparable to that seen in mice in whom BE3 had silenced ANGPTL3. However, blood triglyceride levels were much lower in the ‘anti-ANGPTL3’ mice compared to the ‘anti-PCSK9’ mice. In addition, the anti-PCSK9 treatment was ineffectual in a mouse model of familial hypercholesteraemia (in which different genes act to cause exaggerated atherosclerosis in mice and humans), whereas the anti-ANGPTL3 treatment resulted in a nearly 60% reduction in blood triglycerides and a 51% reduction in total cholesterol (compared to untreated hypercholesteraemic mice). This animal study was presented as a proof-of-concept by Musunuru and his team in their paper on the subject, published in the February 2018 edition of the American Heart Association journal Circulation. The researchers now plan to move on to studies of anti-ANGPTL3 BE3-mediated silencing in human liver cells. This may inform the potential of developing this gene-editing therapy in a clinical setting. This in turn may lead to more effective, long-term treatments for actual or possible cases of heart disease for human patients in the future. Chadwick AC, Evitt NH, Lv W, Musunuru K. Reduced Blood Lipid Levels With In Vivo CRISPR-Cas9 Base Editing of ANGPTL3. Circulation. 2018;137(9):975-7.